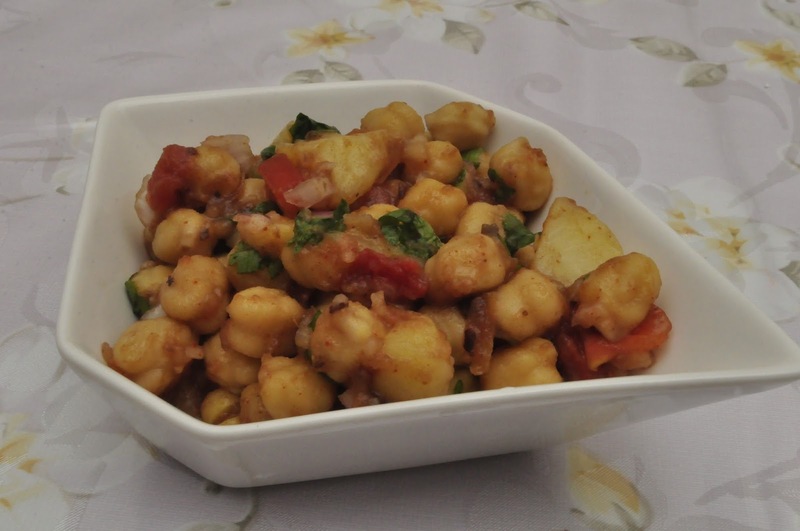 Chana Chaat is a chickpea snack which is often enjoyed as an evening snack. It is filling and tasty and a wonderful addition to iftar platter. This recipe was given to me by my good friend who is from Pakistan. 1. Wash and soak the chana overnight or for a minimum of 7 hours. 2. Boil the chana till well cooked. I use a pressure cooker. 3. Boil the potato, peel the skin and cut into chunks or cubes. 4. Wash the tamarind and prunes. Soak in warm water. Extract juice. Discard seeds and fibre. 5. To the tamarind and prunes juice add sugar, chilli powder, salt and mix well. 6. 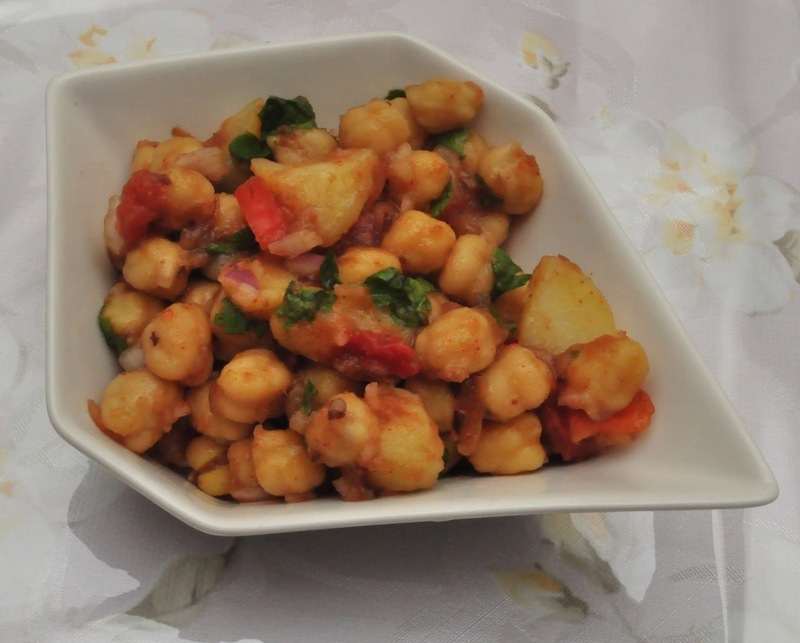 In a mixing bowl, add the boiled chana, potato chunks, chopped tomato, chopped onion, coriander leaves and mix well to combine. 7. Add the tamarind and prunes juice and mix well. Add little by little to achieve desired consistency. 8. Add chaat masala and mix well. 1. Potato can be skipped if desired.